Susan Minot’s latest book, Thirty Girls (Knopf, 2014), is her first novel in over a decade and a significant departure from her earlier work. The girls of the title are the real-life prisoners of the Lord’s Resistance Army in Uganda captured from their convent school in 1996. Five died in captivity, and the last to escape returned to Uganda in 2009. 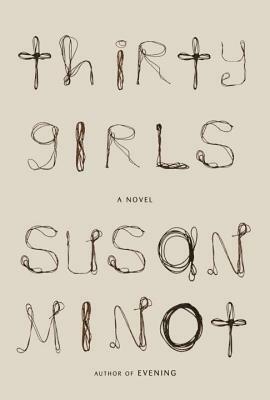 Thirty Girls has been getting great reviews — the New York Times calls it “a novel of quiet humanity and probing intelligence” and says that “to ignore Minot’s book would be a serious mistake” (read Fiammetta Rocco’s full review here) — and we’re delighted to welcome Susan Minot to the House of SpeakEasy. Minot made her name with work of a less geopolitical hue. Her first novel, Monkeys, published in 1986, was a family saga, of which more below. This was followed by the collection Lust and Other Stories (1989), the historical novel Folly (1993), and the screenplay for Bernardo Bertolucci’s Stealing Beauty (1996). The latter was closely followed by Evening (1998), the opening chapter of which you can read here. 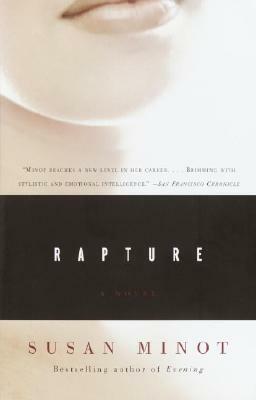 In 2002 came Rapture, a novella that deconstructs a doomed relationship. Five years later a movie adaptation of Evening was released starring Vanessa Redgrave and Claire Danes and written by Minot and Michael Cunningham (The Hours). Quoting Hamlet, one might describe Minot’s great subject as “the thousand natural shocks / That flesh is heir to”. 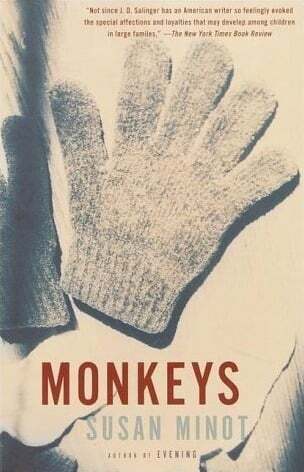 It starts with Monkeys, an extraordinary work worthy of mention in the same breath as William Maxwell’s They Came Like Swallows (1937) and the stories of John Cheever. Like Maxwell and Cheever, Minot is capable of achieving profound effects through a style so apparently simple that its emotional effect is rendered even greater. Over nine chapters and thirteen years Monkeys tells the story of the large Vincent family, encompassing heartache, alcoholism, the sudden death of an infant, and a fatal traffic accident. A thousand natural shocks indeed. She pushes forward on one skate, turning in the middle like a petal flipped suddenly in the wind. We always make her do a spin. First she does backward crossovers, holding her wrists like a tulip in her fluorescent pink parka, then stops straight up on her toes, sucking in her breath and dips, twisted, following her own tight circle, faster and faster, drawing her feet together, Whirring around, she lowers into a crouch, ventures out one balanced leg, a twirling whirlpool, hot pink, rises again, spinning, into a blurred pillar or a tornado, her arms going above her head and her hands like the eye of a needle. Then suddenly: stop. Hiss of ice shavings, stopped. We clap our mittens. The simple imagery and marriage of content and form show off a writer in full control. Monkeys is full of these divine moments, offering relief from a story that seems to blow nobody any good. It was a normal, regular question, but it seemed as if no one had ever asked him it before, or, at least, not with the interest she had, and he felt as if she’d just inserted one of those microscopic needles into his spine to make an exploratory tap down into the deepest recesses of his psyche. You wouldn’t know till it happened how out of your system he was. Or wasn’t. No matter how grounded you were in the present, your body could send you into the past. Even if all feeling was gone and the person no longer held the tiniest glimmer of fascination, your body could still react and you’d feel it, like the vibration of an old land mine, long forgotten, being tripped and exploding miles away. The jolt got registered in the body. 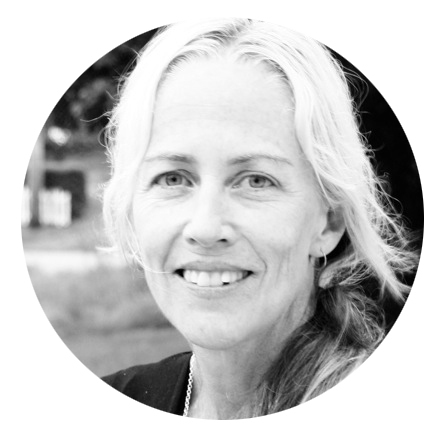 Minot’s sensitivity to this complexity is what gives her work such emotional fidelity. Unarticulated needs and desires circle each other, sniffing warily, in this case going their separate ways. Perhaps. And it’s this sensitivity that ensures that the thousand natural shocks Minot takes as her subject are ones we wouldn’t want to miss. Susan Minot is one of the special guests next week at “This Is Not a Man” alongside Steve Coogan, Uma Thurman, Tom Reiss, Dana Vachon and Anton Sword.